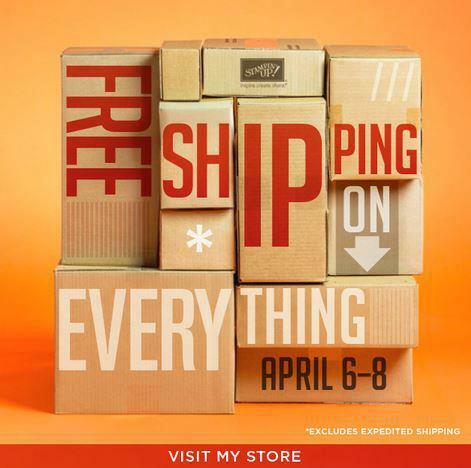 FREE Shipping on EVERYTHING for Three Days! Watch for tomorrows posts about retiring colors and a few other products. Get them before they are gone and save 10%. Plus when you order on-line it is shipped right to you. Be sure to add in MDS if you don’t already have it and join my on-line class. Click here to get to my website to order on-line. Then click Shop Now. I’m excited to share with you all the fun things that are happening with Stampin’ Up! and my business. There are lots of things going on right new including limited time products, new products and catalogs ending and starting. I’ve broken out each class and different product with info. in their own posts click here to see the Newsletter. Just a quick reminder about my free Digital Training. If you don’t have the program already they just lowered the price. You can now get this fabulous program for just $19.95 loaded with tons of digital content. See below for more details and how to order. Here are the links to get signed up. If you can’t make one of these I plan on doing one every month for the next little while so watch for more dates to come. Remember these are all a two week course. Pick which session you want. When you register it will register you for both days of the course. This course is on-line. You will participate from your home computer. Just click on the session you want and it will take you to the registration page. You will need internet access to participate. In order to do the homework you will need to down-load MDS “My Digital studio.” You can down-load the free trial (If you haven’t already) or you can down-load the complete program on my website for the new low price of just $19.95. This includes over $500 worth of digital content (was called MDS2+.) If you have the original program from several years ago you can up-date for free. If you want the additional content you will need to order the program for the $19.95. Please contact me if you have any questions. Click here to order. Click on the shop now button, then MDS is located towards the bottom on the left hand side. You can down-load the full program for the $19.95 or the free trial. Either will work for the class. FREE gift just for attending. I will be giving you a free down-load just for attending and completing the course. This will including participating in the live on-line course, doing the small amount of homework (creating a project) and completing the survey at the end of the course. Get in for the drawing for a free down-load by registering by April 7th for Session 3 or 4 and May 1st for Session 5 or 6. I will e-mail you the course outline after you have registered. Register early as space may fill up quickly. Registration will close 3 hours prior to the start of the class. Register today to insure your spot. I will also do demonstrations in your home with you and your friends. Contact me for all the details.